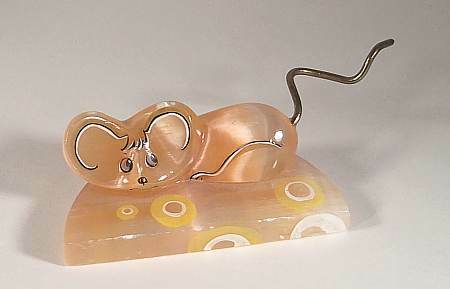 Cute little mouse sculpted from Russian selenite, famous for its warm silky peach-like glow. A touch of hand artwork and a curvy metal tail has been added, as well. Nice little stocking stuffer.